You will see a number of end of the year "best photos" from many sources. 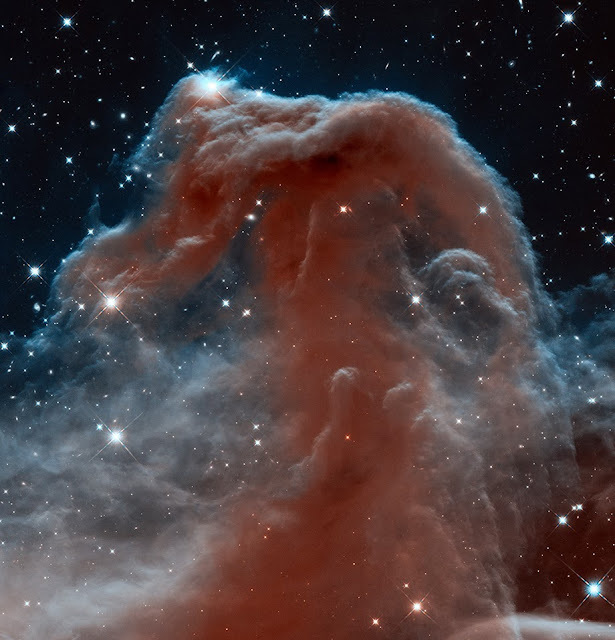 For me the photo's from the Hubble Space Telescope are the ones that I find the most fascinating. 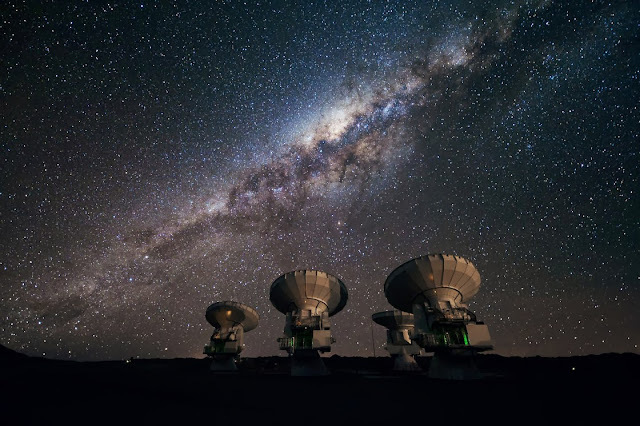 The size of our universe is something that is unfathomable. 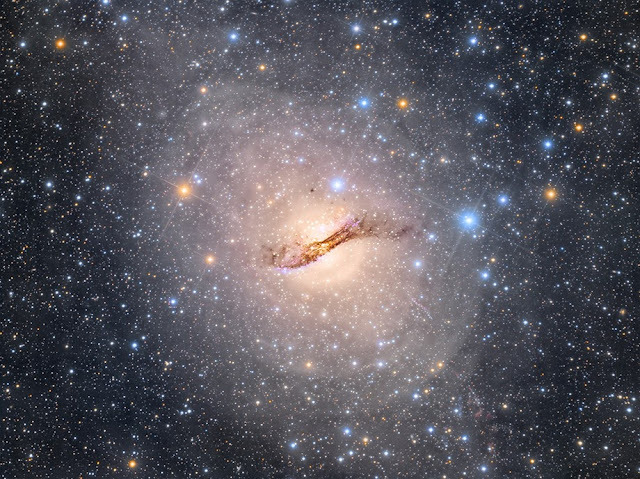 Below are some of the photos from the telescope this year. A repeat of my favorite You Tube video of the year. Sticking with an outer space theme this story of the number of possible "earth-like" planets gives one pause that we may not be alone. For many of us suburbanites our view of Baltimore is created by many negative portrayals of the city . The local newscasts usually lead with the latest killings and gun violence in the city. TV shows like Homicide: Life on the Streets and The Wire show Baltimore at its worst. The book "The Corner", which I highly recommend, also paints a picture of Baltimore as a place run by the drug dealers. I have blogged once before about the true heroes that are raising their grandchildren in Baltimore. Over the past 10 years I have gotten to know one of these grandparents very well. I will call her Mrs. N. I met Mrs. N when I was called by a social worker at Johns Hopkins Hospital one December day in 2003. 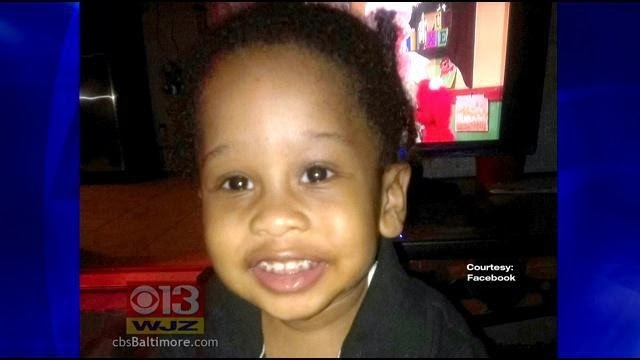 Mrs. N's grandson was in the hospital being treated for cancer. He was one of 5 grandchildren Mrs. N was raising. She has raised each grandchild from birth. Her daughter, the Mother of the children, had largely abandoned the children because of her drug abuse problem. The social worker knew that I provided Christmas toys to families in Baltimore through the Toys for Tots program and she asked if I could provide toys to this family. It seems that Mrs. N had told the kids that she wasn't able to do Christmas that year. I will never forget the expressions on the kids faces when I walked into their small rowhouse with two boxes of gifts that year. Over the years I have always made it a point to be sure that Mrs. N's family has a Thanksgiving dinner and toys and dinner for Christmas. I have seen her children grow up over the past ten years and most are now teenagers. The oldest two, both high school graduates, now help Mrs. N with the younger children as her health has been deteriorating the past two years. This year when I visited Mrs. N it was clear to see that her health had declined. She is going back into the hospital in January for treatment and her prognosis is not good. There are literally thousands of Mrs. N.s in Baltimore on the front lines of raising their grandchildren in some of the most dangerous neighborhoods of Baltimore. Somehow I wish some movie or TV producer would see this side of Baltimore to show an inspiring story of true urban heroes. I encourage all bloggers and blog readers to consider attending the next blog party at Alexandra's at Turf Valley. 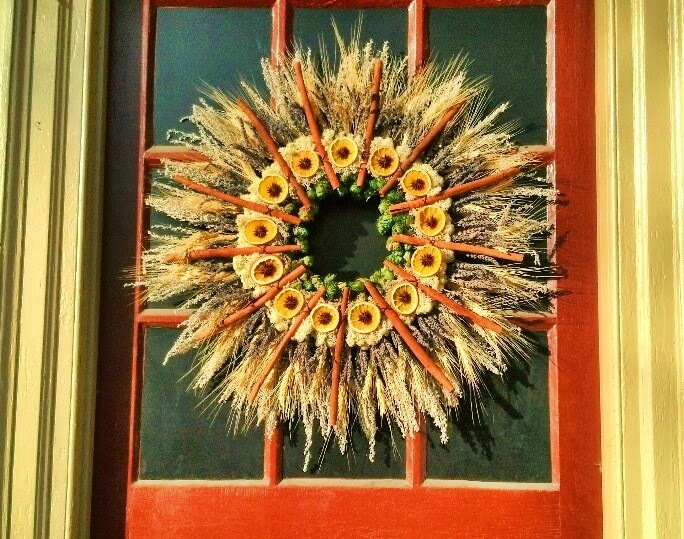 Hocoblogs is hosting this party. Free hors d'oeuvres ( I hate this French word--I can never remember how to spell it!!!) and a free drink coupon. We have all heard of Stonehenge and the many theories of why it was built. 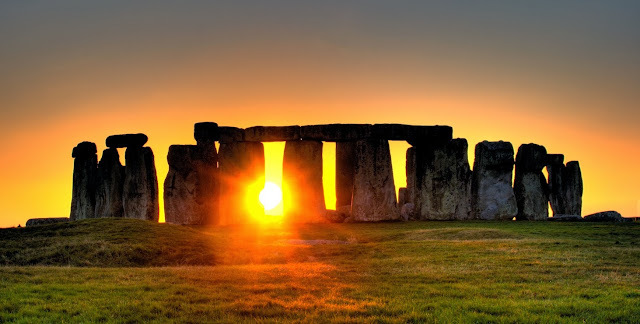 The most popular has to do with the stone formations as some type of celebration of the seasonal equinox and solstice. 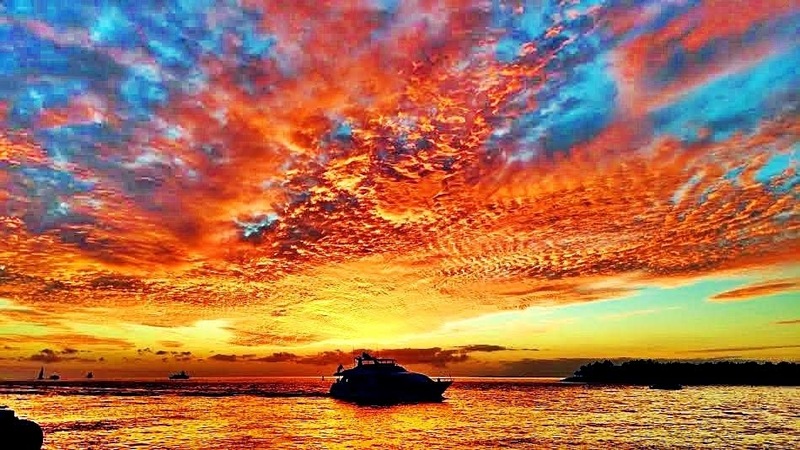 The phenomena with the sun shining in brilliant manners one day a year can be seen in many places. The picture above of the Horsetail Falls in Yosemite shows that it glows once a year as if it is on fire. Once a year in White Plains New York the sun is just right to make the railroad tracks glow. Last week as I was running around Lake Elkhorn I thought I saw the sun rising in the west and it took me a few seconds to realize it was the sun reflecting off the top part of a glass entrance to a building off Brokenland Parkway. It was glowing just like the sun. It made me think of all the other objects, like Stonehenge, that do something amazing just a few times each year. Yesterday morning I tried to get a picture of this but the sunrise was delayed with some clouds around the horizon so the angle of the sun must not have been right to get the same effect. The effect maybe a rare thing that only happens at certain times of the year. But I did get an interesting photo of the building shown below. If you are interested in becoming a Host Family to an International student during the Summer of 2014 there will be an Open House on Sunday January 26th at the Owen Brown Community Center from 2-5 pm. Stop by to find out more about a very exciting opportunity to help a student attend UMBC - to learn English - and to visit the United States and learn more about our nation. 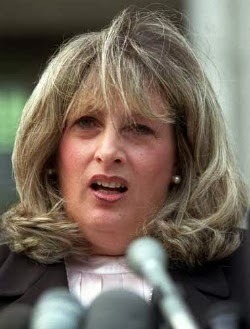 Whatever happened to Linda Tripp? We all remember the notoriety that Columbia received with the Monica Lewinsky/Bill Clinton scandal from the 1990's. It was our very own Columbia resident Linda Tripp who spilled the beans on her friend Monica. As a resident of Cricket Pass in Hickory Ridge Village she had gawkers passing her house daily hoping to get a look at this newsmaker. The attention apparently got to be too much and she quickly relocated to Virginia never to be heard from again----until yesterday in my email inbox. Apparently she has remarried and is now Linda Tripp Rausch of Middleburg, Virginia. Now married to Dieter Rausch they are the proprietors of the Christmas Sleigh in Middleburg. I have no idea why I got an email announcing all their Christmas merchandise. Maybe they Googled her name and my blog post came up. It is curious that she uses her full name that includes Tripp. I wouldn't have known it was her if she had just used Linda Rausch. For our family the movie Polar Express is a holiday tradition. Christmas really is about children and this movie is a wonderful reminder of that. The title song "Believe" is worth listening to today. NPR's Storycorps is one of my favorite parts of NPR radio. The story they had last Friday was appropriate for the season. 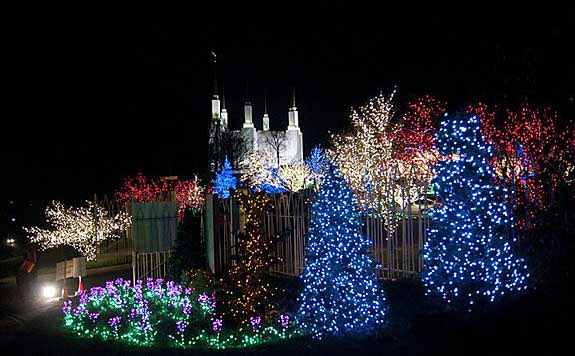 When you come around the DC Beltway just past Silver Spring the lit Mormon Temple comes to view about the tree line. When our kids were young we told them that it was Disney World and they believed us! 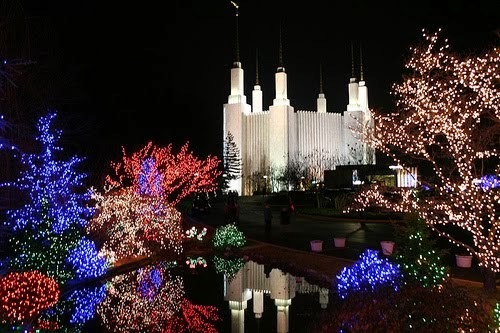 No time is better to view this temple up close than at Christmas. With over 600,000 lights is is something not to be missed. The display is on until January 2nd. 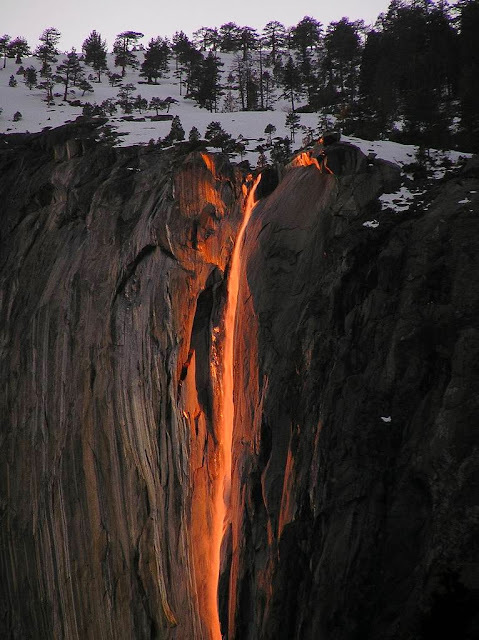 Be prepared for heavy traffic to get up to view the lights but it is worth the effort. 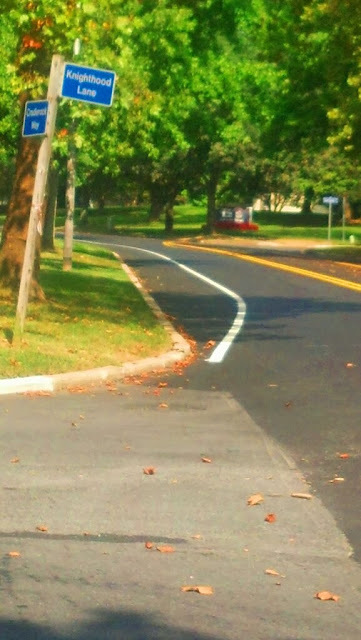 While Howard County has gone "green" in many ways. Using hybrid vehicles for for the County fleet, recycling waste and installing solar panels on County facilities are just a few of the ways we are a greener County. This leads me to discussing an area where the greener County seems to be stuck in a pre-green mentality. At the County Executives public budget hearing he indicated that there would be some funding in the FY15 budget to hopefully implement some of the elements in the Bike Master Plan that has been worked on by the County Office of Planning and Zoning. The planned public input to that plan looks to be scheduled sometime around March 2014. This plan is one that bike advocates would have been long since implemented as part of move to a more energy saving effort. Howard County is fortunate that in the 1960's planning for Columbia the Rouse Company designed one of the most extensive bike path systems seen anywhere in the United States. While much of the thought was to allow school age children to walk to local schools and the general population to have easy access to neighborhood and village centers it has given us an extensive system for biking around our community. Unfortunately the County planning for bike lanes on County roads has never used the Columbia bike path system to provide a more extensive bike routing system. 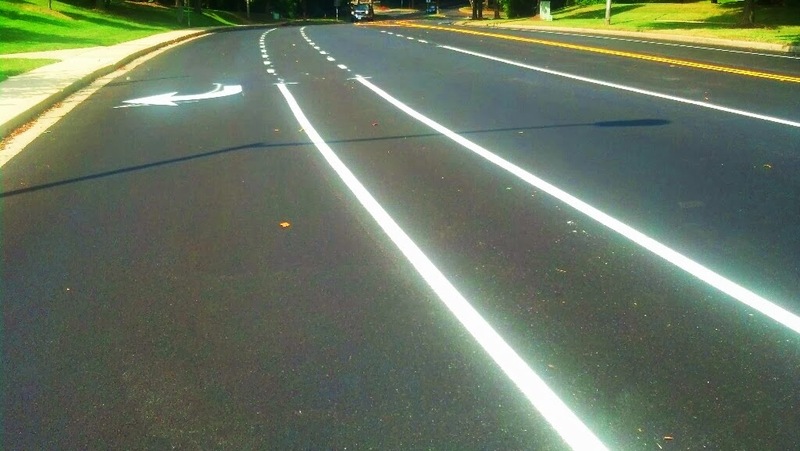 At many points the Columbia bike path system leaves bikers to have to negotiate heavily traveled roads with no clear bike markings.The pictures below that I have used before show that many roads in Columbia are designed to be wide enough to have lines for shoulders that don't serve a clear purpose. 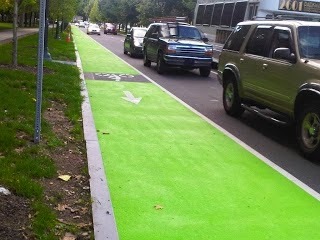 These lanes could easily be redrawn to show clear bike lanes like in the picture below. By examining the existing Columbia bike lane system the County could tie together an integrated bike path/bike lane system for Columbia. Biking would be encouraged and made safer by this type of integrated system that recognized that biking is an important component of any green planning for Howard County. Hopefully these considerations will be addressed in the upcoming bike master plan. One feature that is also missing from our present bike path system in Columbia are long connecting bike paths that serve as main biking arteries that quickly move bikers from one side of Columbia to the other. Our present route utilized the bike bridge over Route 29 from Oakland Mills to Town Center. While better than nothing it only accessed on the east side by riding on roads that carry heavy traffic. 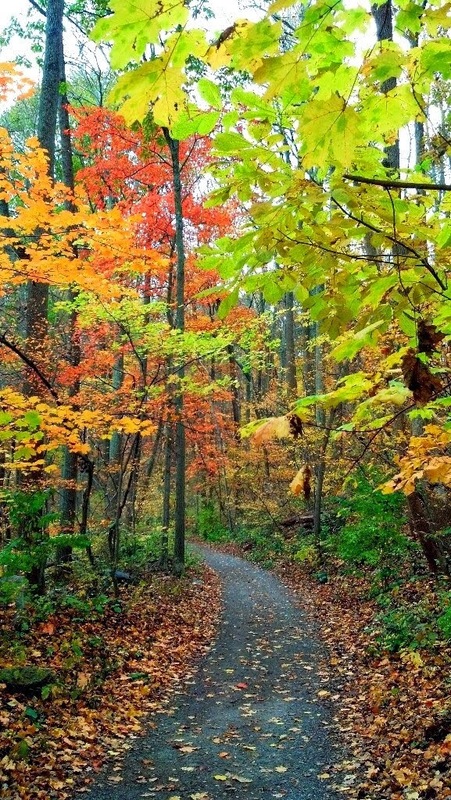 The Middle Patuxent Branch trail would greatly improve the biking route to connect the east side of Columbia with the west side. The County didn't put any money in this year's budget for the feasibility study of this trail but the Columbia Association has some plans to possibly do this study even though most of the trail is on County land. We all remember how we used village centers in the early years of Columbia. We didn't have many choices for where we could shop, get groceries or eat out. It was pretty much the Mall or a village center. Remember when we had hardware stores in our village centers? I remember the excitement when Hechingers came to Dobbin Center. Unfortunately it was the death knell for the two village center hardware stores that gave you such good individual attention. Columbia today is a much different place. Is there any national chain that hasn't found us? Our present multitude of retail choices leaves the question of exactly why do we need village centers and what viable retail model works for today's retail realities. We can clearly see that some of our village centers are struggling. Unleased space is all to common in these village centers. Some now no longer have a grocery store anchor. Recently I attended an informational session hosted by the Columbia Association to introduce the contractor, Retail and Development Strategies LLC, that has been hired by to "evaluate current and projected demand for development in Columbia’s village centers, as well as an interrelated analysis of the Dobbin Road/Snowden River Parkway/former General Electric manufacturing area." Given the large turnout for this session it indicated that this issue is of wide public interest. Retail and Development Strategies LLC is to hold another session around mid March to report on the findings of their study and have some recommendations by mid April. 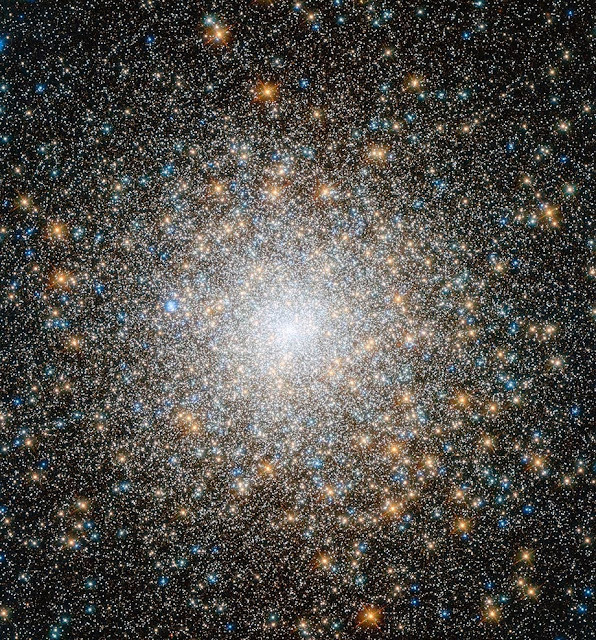 This study's progress can be followed at this site. One of the issues raised at the session was that when the village centers were originally conceived they were designed in a "cookie cutter fashion." Every village center was designed to be pretty much like every other one. Each would be anchored by a grocery store, have a restaurant, pizza shop, drug store and then a mix of other small retailers like liquor store, barber/beauty store, hardware or photo store. It is easy to see that many of these types of items are now found in the larger grocery and department stores we now have. Individual stores for many of these retail items can no longer be a viable business. The contractors will be looking at what mixture of uses can be viable today. It might be a mixture of residential, retail, office, hotel and light industry. The village centers of our future may look very different and serve very different purposes than they have in the past. They may no longer be designed to serve just the retail needs of a particular village. Maybe the new concept could be more focused on "community" need and less on "retail" need. Those components that make us a more complete community might be more important than what retail need we still have. One idea that has been discussed for a long time is the idea of a "themed" village center. A village center could be designed to have an "international" theme, be a location for a center for community services and local non-profit organizations or an arts center? Each of these themed centers would not just serve one village but the entire community. I recognize that whatever is designed for the future does have to have an economic viability but that viability might have to have an infusion of financial support from the Columbia Association and Howard County Government. This may mean that the County Government may locate some of its offices in village centers and CA may have some activity spaces in each of the village centers in addition to what they presently have next to village centers. You need to solve some coding on a problematic website. Where do you go? Silicon Valley? Nope, how about a Columbia based company called QSSI. Howard County is not the first place you might think of for being a hotbed of digital technology companies but you would be wrong. You may remember that Howard County earlier this year was "ranked 8th in counties with populations of 250,000 to 499,999, with the survey measuring online service delivery, infrastructure, architecture, security, transparency, citizen engagement and governance models." QSSI has three locations in Columbia. One is on the top floor of the building downtown that also houses the Horizon Foundation. I have often been in an elevator in that building with young men from QSSI having conversations that sounded like some complex computer code. With many of the young men appearing to be of Indian descent one guess was that it must be some Indian hi-tech company. There also seemed to be some higher level of security for that floor of the building. One was never too sure what the company on the 12th floor did but now we know. In addition to being brought in to fix the computer website problems with the Federal site they now have been hired by Maryland to fix the problems with the State healthcare website. We might not be Silicon Valley yet but with our close proximity to the National Security Agency and the Applied Physics Lab you can bet we have more hi-tech firms in our area then you might imagine. Another sign of our hi-tech culture is the recent announcement that the Howard County Library was awarded a grant to expand its HiTech Initiative. According to the announcement the grant is " a STEM education initiative for teens that provides hands-on, project-based classes in such skill areas as computer programming, 3-D animation, green energy, nanotechnology, music/video production, ebooks, game app design, cybersecurity, and robotics." If you have followed this blog for the past couple of years you know I have promoted Chuck Daniels house as the best house lights in our area. For those new to the blog his house is 5034 Durham Rd E in Beaverbrook not too far off Route 108. 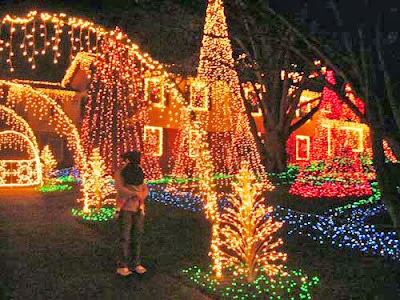 His house have been our family tradition just as Symphony of Lights and the Poinsettia Tree at the Mall. Does anyone have any other houses that should be mentioned? If you have noticed I haven't blogged the past few days as I have been travelling and wanted to mention the best light show I have ever seen even if it is a little farther to drive. 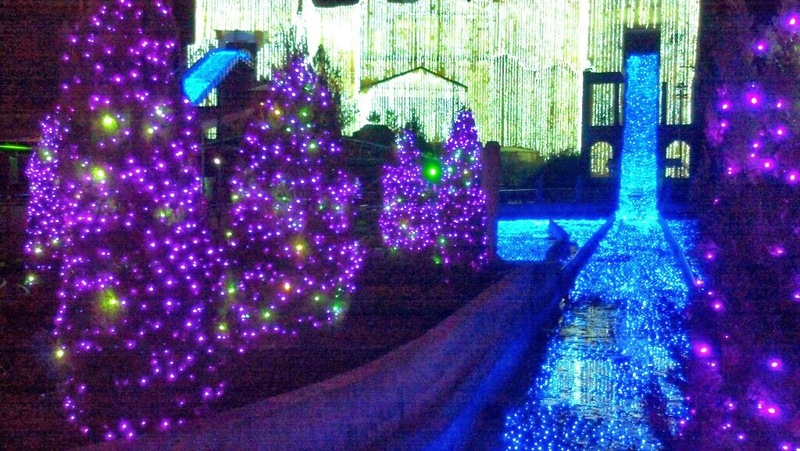 If you haven't been to the Christmas Town at Busch Gardens in Williamsburg you have missed something that has to be seen to be believed. With over 6 million lights is hard to describe the magical effect of that many lights. They even try to keep some of the Summer rides open and even a roller coaster ride. The holiday shows are very good and all free. The one called Gloria shown below should not be missed. 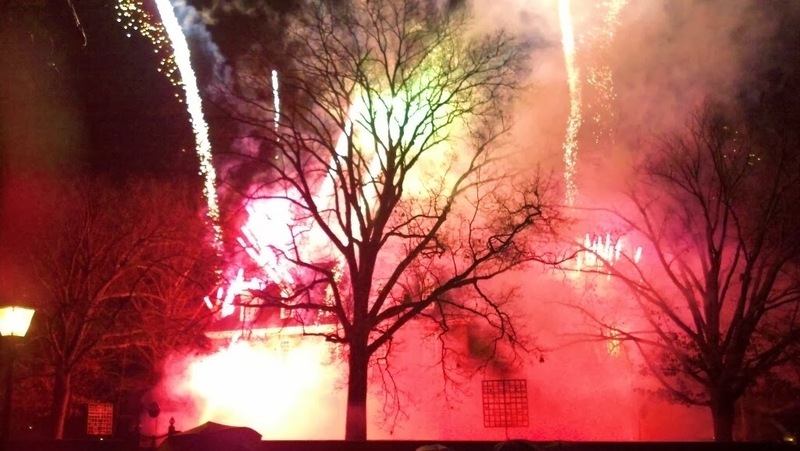 If you want to combine a visit to Christmas Town at Busch Gardens with a visit to Williamsburg try for the weekend they do their Grand Illuminations. It has passed for this year but it will be December 7, 2014. 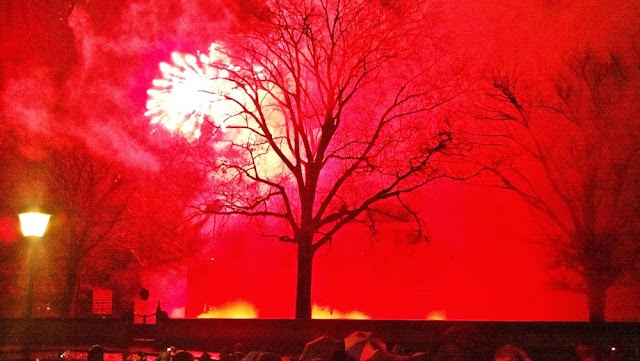 Some pictures from this year's fireworks and wreaths celebration below. One of those once in a lifetime moments that I still remember was watching each of my children board the bus for their first day of kindergarten. Somehow seeing their faces in the bus window as the bus pulled away was one of the first moments that you recognize that your children will be pulling away from you in different stages as they grow older. Dance recitals, school holiday programs, softball and volleyball games, graduations and the drive to drop them off at college all followed that first day of kindergarten. As a grandparent I appreciate more how quickly these moments with young children pass. Somehow our pictures are an effort to freeze the growing up process for just a bit. I know all too soon I will be attending their graduations. While the pictures of the children were being taken I couldn't help but think of those parents and grandparents who saw their children go off to school last December 14th and didn't have them come home. I can't image the pain of having to experience that event. The families of Sandy Hook have developed a webpage for sharing their feelings and communicating with the others how this event has altered their lives in the past year. It is hard to read some of the stories and not think of our children and how the joy they bring to our lives should never be taken for granted. It could all end so suddenly. To learn more about those killed that day click here. I would be remissed if I didn't point how children are killed all too frequently in our cities every week. Here are examples of just 2 examples of this tragedy in Baltimore this year. We should be as outraged with the innocent deaths of these inner city kids as we are when tragedy strikes in a suburban community. If you follow this blog you know I have a fondness for pancakes but never just "plain" pancakes. My newest holiday version is one that a friend passed along to me on Facebook. It sounded too good not to try. 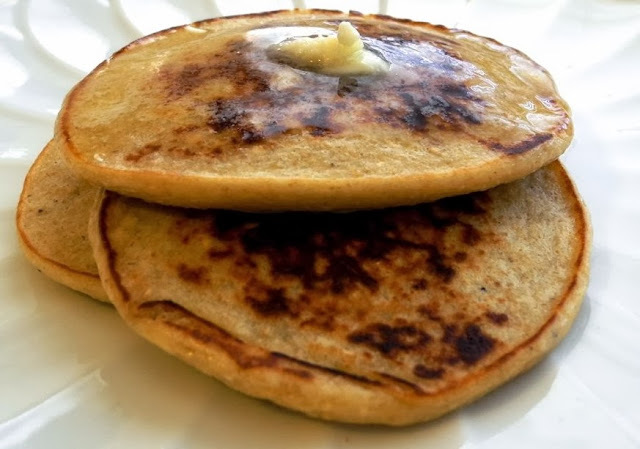 Always looking for a different taste and texture to a pancake these cottage cheese/oatmeal pancakes sounded like just the right mixture. Below is the recipe for about 6 pancakes (depending on size of pancakes). I added a mashed banana to give a little more flavor. Powdered sugar on top of any pancake improves the dish too! Stanford Grill: A cut above? 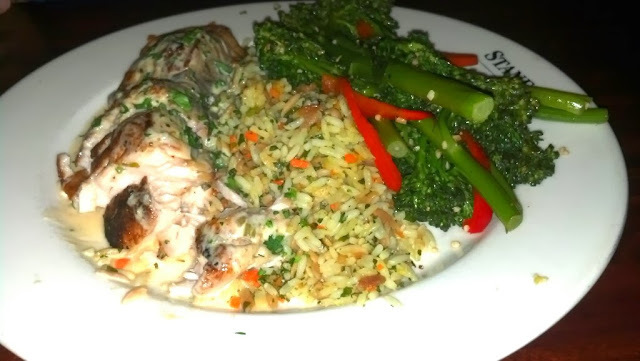 After having some friends rave about the Stanford Grill we decided to check it out last week. The atmosphere is a step up from the average Columbia restaurant with a piano player at the entrance and an inviting gas fireplace. I saw the words "proper dress required" on their website and am never sure what that means. No shorts and sandals? I wore jeans and wasn't turned away at the door. 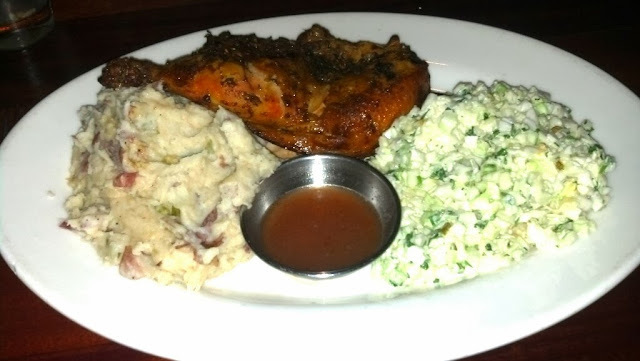 My friend had recommended the wood-fired rotisserie chicken which is pictured above. This came with garlic mashed potatoes and I chose their cole slaw over the green beans. I have had too many bad green beans in restaurants. The best thing about the meal? The cole slaw slaw was the best I have ever had! Too bad the chicken was too dry. Good thing they added the au jus to dip the chicken in. One dining partner had the Short Smoked atlantic Salmon with orzo rice and asparagus spears pictured above. They said it was nothing special. brown mustard on a toasted baguette. They started eating it before I could get a picture. They recommended the sandwich as being very good. 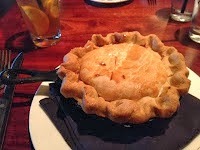 Our last friend had the chicken pot pie pictured above and raved about it. Seemed to have a good deal of chicken and veggies in it. 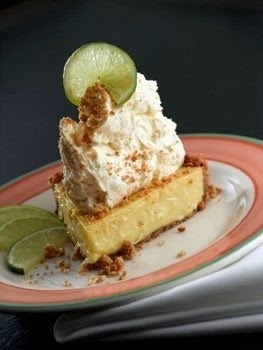 We all decided to split two desserts and both chose the Key Lime pie. Nice ending dessert. So we had "two thumbs up" and two "so-so" reviews. Lakeside Cafe moving. I heard that the move was to be closer to its best customer-- Enterprise Community Partners which has moved to at 11000 Broken Land Pkwy. Seems that Enterprise was the big user of the Cafe and when they moved from the American Cities building Lakeside decided to follow close to where their best customer had moved. With tomorrow the being the first anniversary of the Newtown school shooting the Newtown Foundation is sponsoring a vigil at the National Cathedral in DC. Tickets for the event are probably gone by now but you can watch the vigil being livestreamed at this link. The release of the 911 calls from the school last week were a reminder of the horrors of that day. Gun violence in the United States continues unabetted in the year since this shooting and gun ownership has surged in recent months here in Maryland before the new gun legislation took effect. The recent shooting in the Weis store in Laurel where a shoplifter took the gun of a security guard and fired the weapon is another example of the mixed results of having a weapon as a deterrent. I have shopped at that Weis store many times. That area of Laurel has seen an increase in crime as seen by the recent shooting a short distance away in Russett Green not far from the Sam's Club at which I also shop. I realize how much distance there is between gun rights advocates and gun control advocates. The cultural differences are large and there seems to be little opportunity for finding common ground. If the killing of young children in a mass shooting can't bring about some rational gun control then we as a nation are locked into a future of frequent mass shootings. Sad. Seems that for those folks moving to Columbia it can be somewhat of a culture shock. A planned community has many characteristics and idiosyncrasies that can be confusing. So I thought I would write a primer for those new residents. Here are 13 helpful realities of our community. 1) Somehow we think it is cute to have weird street names. Pity the poor folks who live on Possum Path and Sharp Antler. 2) We have the second highest median income for counties in the United States. Don't be shocked at what little house you get for under $400,000. 3) Old time Columbians can be recognized when they complain that nothing is the same since Mrs. Z's and Produce Galore disappeared. 4) We are a split community located between DC and Baltimore. Half of us follow the Ravens and half follow the Redskins. Same with subscribing to the Post or the Sun. Mixed families subscribe to both. Mixed football families are more complicated. 5) Our downtown doesn't have a "there" there. We have a mall, a park and a nice little lake but we still are trying to figure out how to be more than a run of the mill suburb. 6) Choose Civility is our town's mantra. Even our politicians are polite and many times like and work with each other. Our politics range from liberal to moderate, even among our Republicans. 7) We are a good place to date if you want to marry a physicist or a social worker. In fact many marriages here are between a physicist and a social worker. 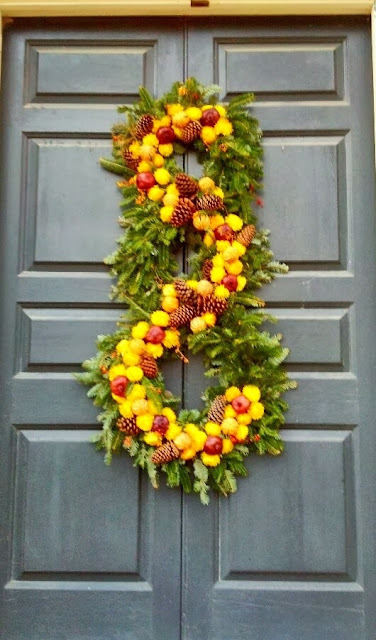 8) Yes you can't paint your house a unique color. The Architectural Committee police will find you. Property values rule over individuality. 9) Because we don't like signs it may take you a while to find a gas station or a fast food joint. 10) No one in Columbia buys their gas here unless our car's gas light comes on. And then we only get enough gas to get us to a Route 1 gas station. 11) If you have small kids the words "tot lot" will quickly be part of your everyday vocabulary. 12) We have a local "tax" called a CPRA "fee" that you can't deduct on taxes. This fee funds the Columbia Association that may resemble a local government in the services it provides. We don't have a mayor. 13) The boundaries of Columbia are very unclear. You can live in Columbia proper but have an Ellicott City, Savage or Clarksville mailing address. Given the property values in Clarksville it is only surprising that some of our neighborhoods in western Columbia haven't tried to change their name to East Clarksville. With the resignation of the head of Maryland's health care program to enroll Marylanders in the Affordable Health Care program I thought I would look at why it has gone so poorly in our State. Of all 11 states that designed their own sites Maryland ranks last in the success to enroll people. This embarrassment will undoubtedly become a political football in our upcoming elections. Governor O'Malley was one of the strongest supporters of the new legislation and early on decided to have Maryland design our own state exchange. He had undoubtedly hoped to have Maryland's success in enrolling Marylanders in the program would give him a talking point as he explored a run for President in 2016. Unfortunately for the Governor just the opposite has happened. The political finger pointing is only just beginning. Look for hearings in the upcoming legislative session to be unpleasant for the administration. So what went wrong? Part of the answer is that the Federal regulations were not written soon enough for states to begin writing code for the exchanges. Some have speculated that the Obama administration didn't want to give Republicans ammunition to use in the 2012 mid term elections. This delay has proven to be an impediment to both the federal and Maryland sites. Neither had the time to adequately test out the systems. But other states that have successfully launched their state exchanges had this same issue so why have they been more successful? It seems to go back to that old phrase "KISS" or "Keep It Simple Stupid." As with the federal website, Maryland apparently contracted important parts of the website development to outside contractors and didn't have sufficient oversight in the development and testing of the site before launch. Testing that should have occurred with each step of development of the website apparently didn't happen because of the short timeframe for launch. The debugging of a website program is difficult enough at each stage of development let alone when it is supposed to be a final product. When you find one bug and correct it you find others that have been hidden by the first bug. If you have ever debugged a program you know that it is easier to debug a program going forward then backwards. It is probably the reason the program has been so slow in improving. 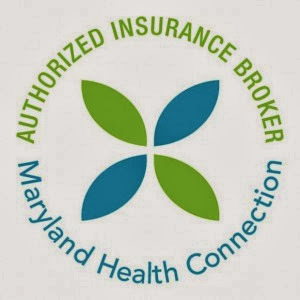 Fancy graphics and requiring potential enrollees to set up an account before shopping for a plan have prevented the federal and Maryland sites from working well. This is in contrast to the most successful site in Kentucky. Kentucky minimized graphics in their state site because they knew that many Kentuckians still had dial up internet connections. Can you believe it-----the lack of high speed internet connections was a good thing in the success of their site. Maryland might be proud of our highly educated population and our advanced use of high speed internet connections but in this situation it worked to our disadvantage. Kentucky also wrote their site to be read at a sixth grade level--again simplicity. Finally the Kentucky site allowed people to view the possible health plans without setting up an account. This helped with its success because setting up an account requires a link to federal agencies to verify citizenship and income and this created problems with speed and error messages. The original thought of requiring setting up an account was to show an enrollee their actual cost after the generous subsidies. This required verification through the IRS database that became problematic. There was concern that enrollees would be discouraged from joining if they didn't see their actual cost after subsidy. Determining subsidy amount without having to access the IRS sight proved to be a winner in Kentucky's successful enrollment. 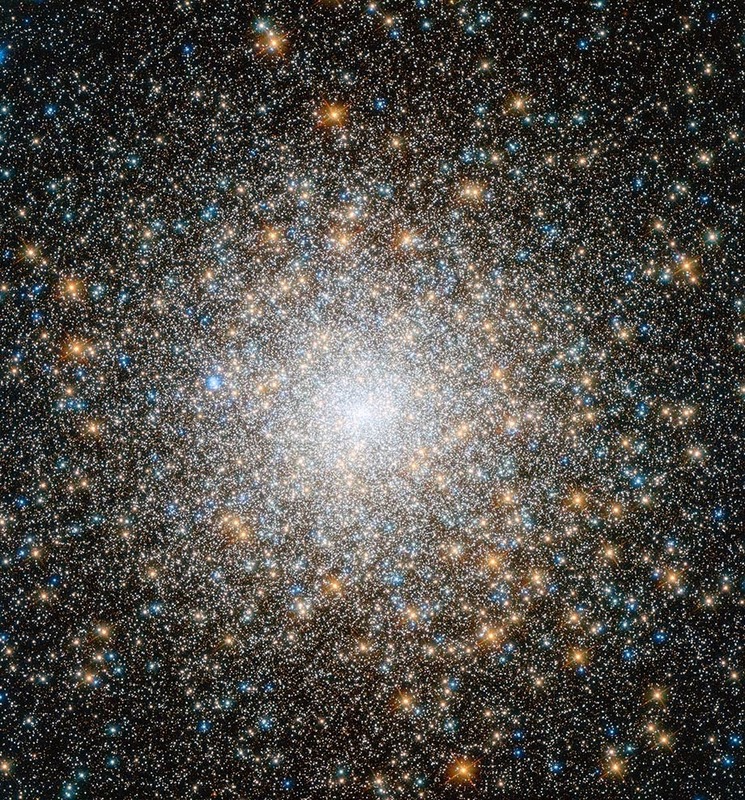 But until recently, that widely held bit of conventional wisdom hadn't really been assessed in a rigorous, systematic way, says Dr. Dariush Mozaffarian, a cardiologist and epidemiologist at the Harvard School of Public Health. "I think $1.50 a day is probably much less than some people expected," Mozaffarian tells The Salt, "but it's also a real barrier for some low-income families," for whom it would translate to about an extra $550 a year." 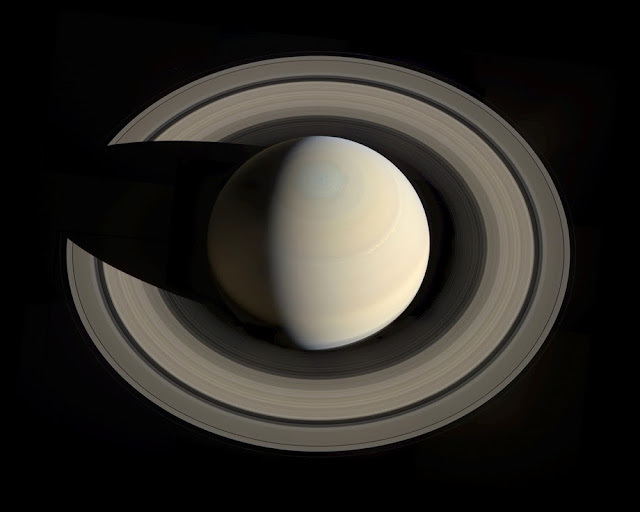 Today I am diverting in my blog to something that has fascinated me since my college days. On my recent trip to New York I was reminded of a form of architecture that I came to appreciate in college. Readers of this blog maybe surprised to learn that I started in college to be an architect. Building design seemed to be a creative outlet to pursue as a career. As with many students my exposure to other career paths led me in a different direction but my fascination with architecture has always remained. One of my college instructors in design gave us an assignment to pick out an architectural style that we liked and turn in an extensive report about the style that explained its unique character and popularity. I chose art deco style and came to love this style. 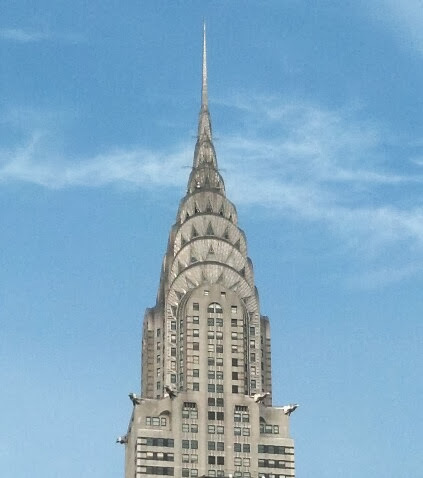 The photo of the top of the Chrysler Building in New York shown above is one of the most well known form of this architectural style. 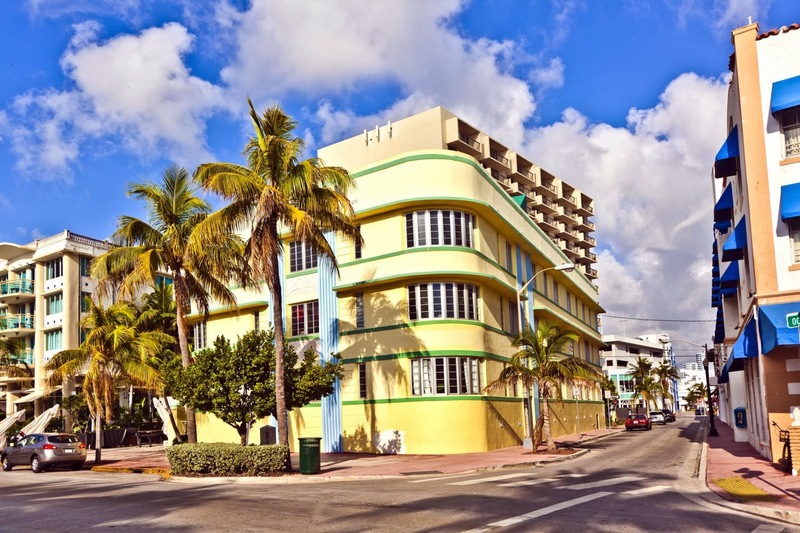 This style of architecture became popular after World War I and remained popular through the 1940's but then died out. It had many themes of the industrial age in the United States. 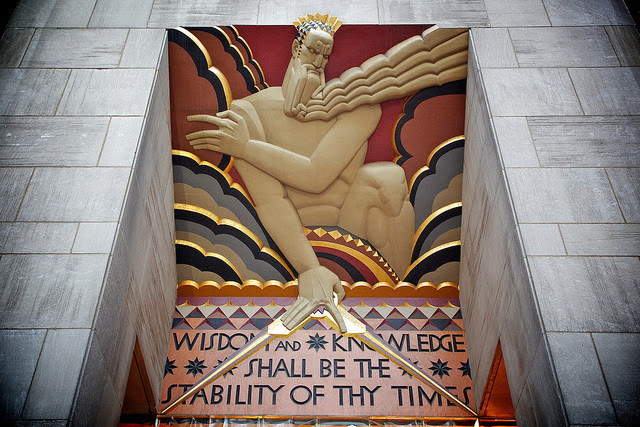 Machinery was a common theme as shown in the wall sculptures at Rockefeller Center shown below. The other popular area to see this architectural design is in South Beach Miami where many of the buildings were built in the 1930's. The building below shows the curved lines of this building style. 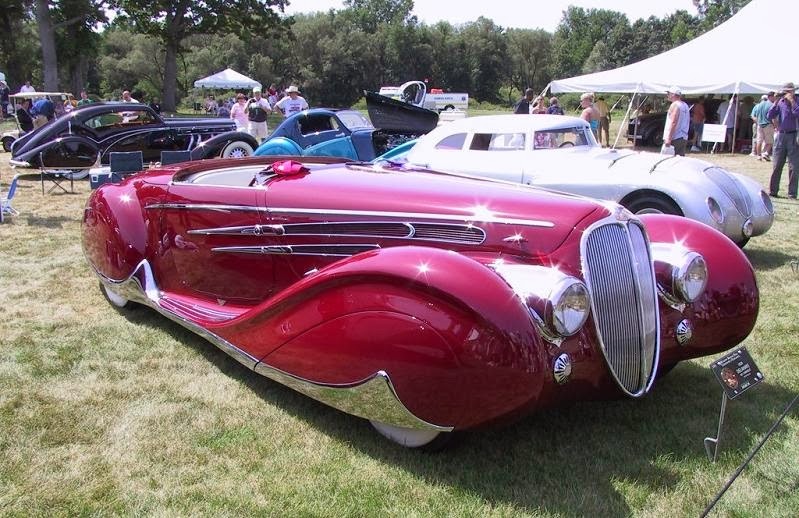 This curved and rounded style was also seen in 1930's car design as the example below shows. 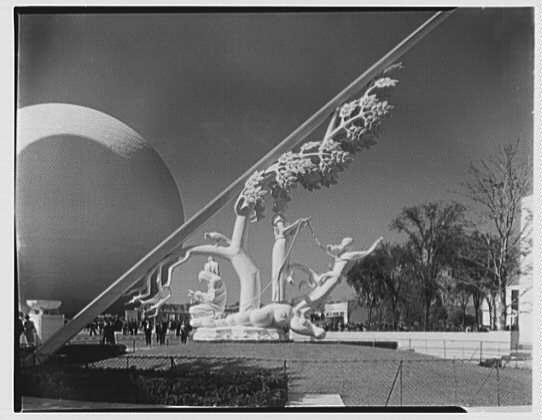 The design of many of the buildings at the 1939 Worlds Fair in New York adopted the features of this style of design. Below is from that Fair. 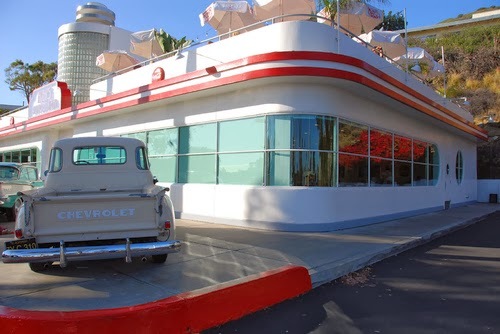 Finally the design of diners, which became popular in the 1930's, reflect the art deco style. Wouldn't a building in downtown Columbia in this style be a nice change from the glass towers that seem to the only style we have in modern building construction? While the problem with carbon dioxide has captured most of the climate change attention one part of our climate problem has not received as much attention. That is our trash problem. Our climate is impacted in a variety of ways because of our production and disposal of all our packaging and other used materials that end up in our landfills. While Howard County has been a leader in the recycling movement with a successful recycling program which is now moving to include food scraps, New York City is struggling to come up with a solution to its substantial waste problem. How long can they just "bury" this problem? 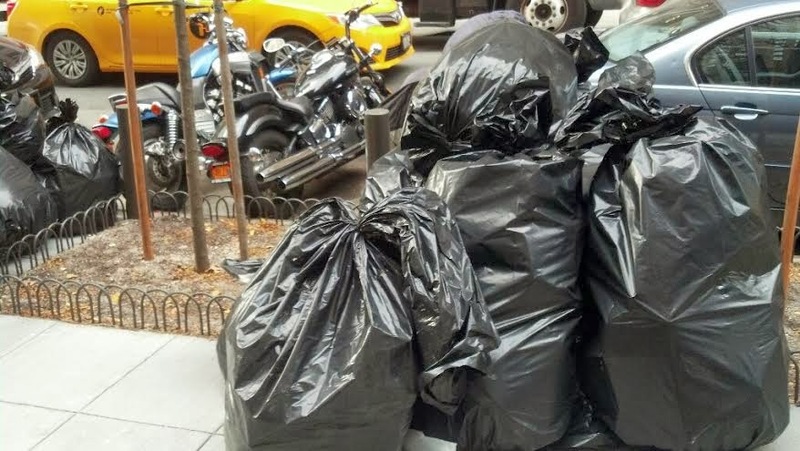 You haven't seen trash piles like this until you walk down a New York City street right before the trash pick up. This past week I took the picture above on a walk down one street. The night before walking through an area of NY with a number of restaurants the piles were huge and smelly. Can't imagine what a treat this is for NY rats. It seems that many areas of the City have trash pickups at night to cut down on the traffic congestion that day time trash pick up would cause. "San Francisco recycles 77 percent of its waste. Seattle and Toronto recycle about half. New York just 15%. Meaning, every day, New Yorkers sends 22,000 tons of solid waste to landfills." San Francisco is working to be the first "zero waste" city. "Four different lawsuits have delayed construction of the 91st Street marine transfer station. A 2005 lawsuit unsuccessfully challenged the environmental review, and was rejected by an appellate court in 2008. While that appeal was in process, a second lawsuit was filed in 2006 claiming that construction impacted a nearby “public” park, Asphalt Green." Do you have a budding engineer in the family? You might want to check out the Rube Goldberg competition that is sponsored by the Library. Registration deadline is tomorrow, December 6th. 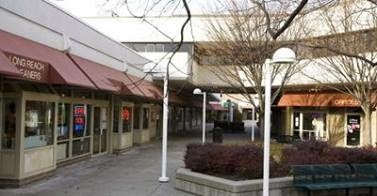 Meeting tonight on the future of Columbia's Village Centers. I have blogged frequently about the impact of technology on many of our institutions. Can we remember what it was like before online banking, shopping and communicating? One community institution that is rapidly adjusting to the technological changes are schools. The current model still mostly follows the model of teaching that has been with us for a couple of hundred years. The teacher in front of 20-30 students with a chalkboard is how most of us remember school. Slow learns and fast learners often receiving the same instruction from the same teacher. Sure when we got to higher grades there was some tracking into an academic, vocational and commercial tracks. I know that the model just described has been replaced in the past 25 years but the teaching method used by teachers has remained relatively unchanged. Somehow the teaching philosophy of "Tell me and I'll listen, show me and I'll understand, involve me and I'll learn" has never really been the fully implemented into most classrooms. I recently spoke with Julie Wray who is Coordinator of Instructional Technology at Howard County Public Schools. I read about a 2 year pilot program at the Elkridge Landing school to provide an electronic tablet to each student to be available to use with classroom instruction. Teachers at the Elkridge school have had weekly "App Hour" sessions to familiarize them with computer apps to enhance the educational experience. Three high schools, Long Reach, Mt. Hebron and River Hill are allowing student tablets to be brought into the schools. My interest in talking with Julie was to see how this new technology was used to improve the educational experience. I was particularly interested in how teachers have reacted to the changes in their role brought on with the new technology. I want to highlight the areas of impact. One of the most significant change has been with the role of the teacher. The role has evolved into more of a facilitator as much as the traditional didactic model. Students are given more freedom to search for information instead of just writing down what a teacher has provided in lecture form. They can show they have mastered information in more than just taking a written test. They can create a project that shows a higher level of mastery of information. Think powerpoint presentations and You Tube videos. Students are encourage to work collaboratively on projects and learn in a peer fashion. This collaborative model can be an enriching and empowering personal and educational experience. It also can bring learning into normal daily activities that go beyond the classroom time. Learning doesn't require having your books with you or going to a library. Frankly, why are we still being tied to a pre-internet model when we have the whole world available through the internet? Can the usefulness of electronic tablets in the classroom be measured? With this academic year being the second year of the model project at Elkridge Landing we should have some results some time next year. Some of the areas of evaluation will involve school attendance and performance on math and english tests. Hop Scotch at the Bromo Seltzer Tower in Baltimore? Check it out. Giving Tuesday: Become an "unselfie"
First it was Black Friday, then Small Business Saturday, Cyber Monday and now Giving Tuesday. What is next---Buy American Wednesday? Somehow we all seem a little uncomfortable how consumerism has overtaken many of our holidays. None more so than Christmas. 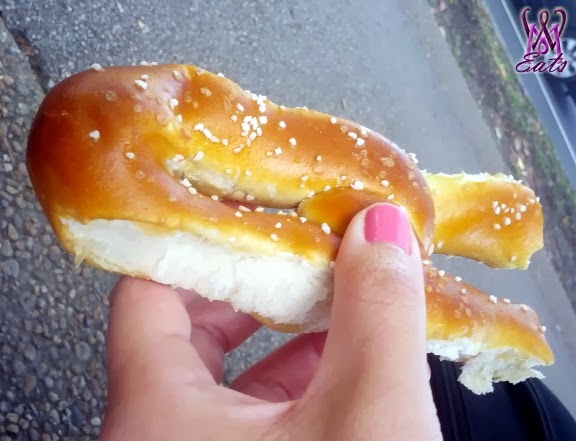 The frenetic shopping, traffic jams at local stores and way too much food. While this maybe the daily cycle for most of us this time it is also a time when those less fortunate struggle with daily misfortunes. Illness, poverty, depression and other a lack of a supportive family mar this festive time. With this in mind we should all pause today and do something to recognize this reality for many of those in our community who may be in need at this time. Giving Tuesday was started last year as a time to have a way to step back for one day and reflect on what really matters in life. Not what we possess but what we give to others. This year it is today December 3rd. This giving can be in many forms. A hug to someone to let them know you care about them, a donation to a local charity, a visit to someone that is home bound, an apology to someone you hurt or telling someone how much they mean to you. Hopefully Giving Tuesday becomes every Tuesday (or better yet every day) of the year. Want to know if money can make you happy? Listen to this TED Talk. Today I am making a donation to Our House in Olney, Maryland. I got to know Richard (Benny) Bienvenue when Our House was housed at Taylor Manor. Their mission is to to teach carpentry skills, workforce readiness, and GED preparation to abandoned, abused, homeless, and orphaned teenage boys. Their work is truly inspiring. A few of other suggested ways to make a difference is to volunteer with Pets on Wheels at the Howard County Office on Aging, volunteer to be a driver with Neighbor Ride, make a donation to the Howard County United Way Community Partnerships, become a Friend of the Library, join the network to help foster youth, make a donation of food to the Community Action Food Bank or volunteering with Grassroots. Word of the year? Check it out. Our Attorney General helped it out this year. 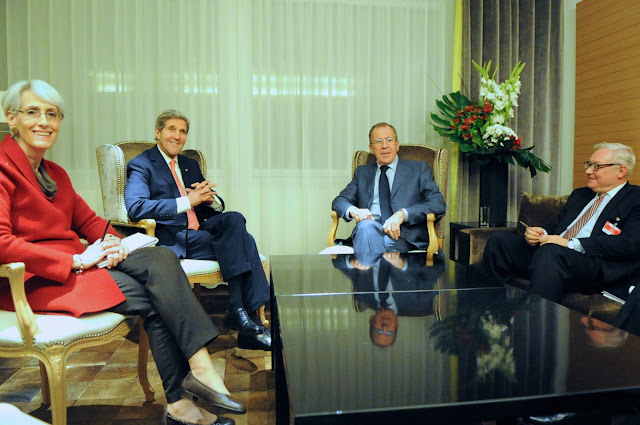 You might not have know that the woman in many of the pictures with Secretary of State Kerry during the recent negotiations in Geneva about controlling the nuclear development in Iran has a very local connection. Wendy Sherman, in the picture above, is an Under Secretary of State and the lead nuclear negotiator for the State Department. So the local connection? Wendy grew up in Jim Rouse's house in Columbia. Wendy is the daughter of Malcolm Sherman who was Rouse Co. vice president with responsibilities for all residential land sales in Columbia. Mr. Sherman has a strong belief in racial diversity in housing and was responsible for seeing that this existed in Columbia. Jim Rouse purchased Mr. Sherman's house as his Columbia residence. I got to know Wendy as a graduate student at the University of Maryland School of Social Work in the mid 1970's. That's right a trained social worker is this Country's lead nuclear negotiator. As I remember it Wendy was the first student to graduate with a 4.0 average. Wendy and I were part of a newly created program at the school for social activists. This program, called the Social Strategy Program, was formed by Dean Daniel Thursz when he came to the school. It was dwarfed by the number of students in the clinical social work tract. It seems like our numbers were less than 20. Most of us came out of some social activist background and we wanted to obtain a professional credential that would help us in our careers. There weren't that many professional credentials for social activists! I got to know Wendy very well as we shared many of our classes together. Her brilliance in those classes was all too evident as she soon became a student activist at the school. Wendy and I did our field placements at the National Association of Social Workers in DC. Her issue at NASW was women's issues and mine was programs for the elderly. With a lack of staff with expertise in either of these areas we found ourselves in position to do some significant work on behalf of the organization. One memorable way we worked together was to negotiate a pay amount for student interns at NASW who would work the summer during our internship. Originally the amount we were to be paid was not much more than minimum wage. We decided to go into a negotiation session with the Executive Director of the NASW and pointed out the inconsistency of this amount when NASW was trying to increase the salaries paid to social workers in the United States. NASW had proposed social worker salaries based on education and experience to be guidelines that organizations should use in paying social workers. In our meeting to plan our presentation Wendy came up with using this strategy to our benefit. It was a brilliant negotiating strategy. Based on that criteria we negotiated a much higher pay amount. The Executive Director even praised us for our negotiating skills. I will never forget the look on the Executive Director's face when we presented him with the words of his own organization! Lesson to be learned? When asking for a raise take a nuclear arms negotiator with you! Somehow I feel proud that a social worker is leading our nuclear negotiations and a community organizer is now our President. Lawyers of this Country take note! 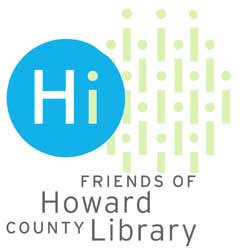 Show you appreciate the great library we have in Howard County by joining the Friends of the Library today. What alcoholic drink was the favorite of our Colonial ancestors? Not wine or beer but hard cider. It also seems to be a rapidly growing drink today. I inadvertently made some hard cider a couple of years ago when I accidently opened a gallon of cider and then put it in the pantry and forgot about it for a few weeks. When I found it and opened it I noticed it smelled fermented. Tasting it it wasn't too bad. I poured it over ice and enjoyed the rest of the gallon over the next week. Listen to this NPR broadcast on cider. Today we should all remember that small businesses are valuable to our community's well-being and diversity. Avoid the chains today just for one day. Eat at a locally owned restaurant. Too often we complain about how we have been overtaken by the big box and chain stores. Go to any mall anywhere in this Country and you see the same stores and restaurants. The struggles of being a small business is something I have seen with my brother. He and my sister-in-law had always wanted to own a bookstore and they took the plunge 20 years ago in the small town where they lived. They didn't have any competition and grew well the first few years and then Amazon happened and Wal Mart moved to town. It was either diversify or close up shop. They begin to look at new niche markets and sell few books today. They don't tell their book customers but they get most of their books today from Amazon to resell! Now you can buy ground coffee, jewelry, cosmetics, chocolates and a wide variety of other items at their store. They have to attend a variety of merchandise shows each year to see what the next hot items are going to be. 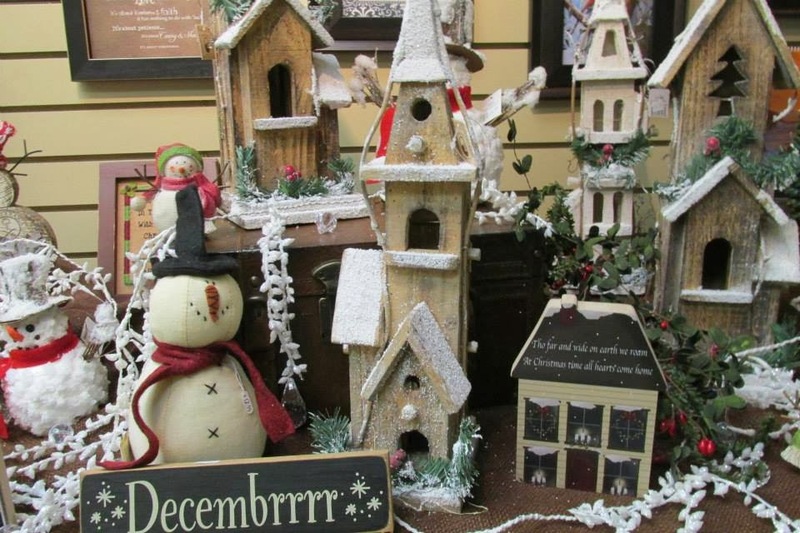 Pictured above are some of the items in their store this year. Remember when store displays brought us to shop? Its Black Friday. So why are you reading this blog? I am skipping the shopping trips too. I will do most of my shopping online at Amazon. 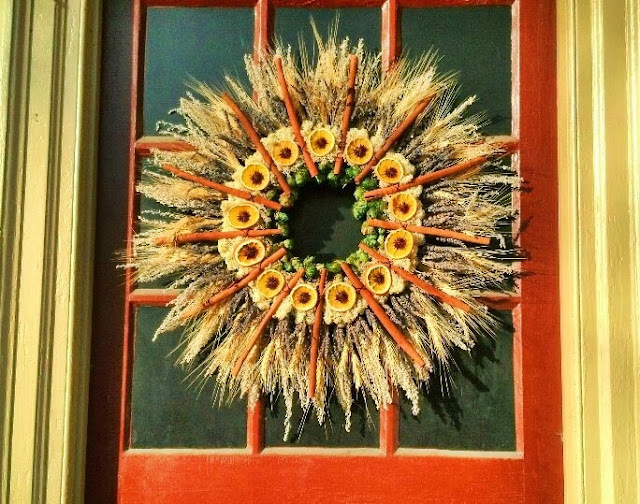 Better prices and no hassle to have the gifts come to your door. Next year we might even have same day delivery with the Amazon distribution center being built in Baltimore. Waiting in line for a doorbuster just doesn't seem as much fun as we used to have going Christmas shopping. I remember what it was like to go to the downtown area of any large city and looking at the elaborate window displays that each store used to draw in customers. 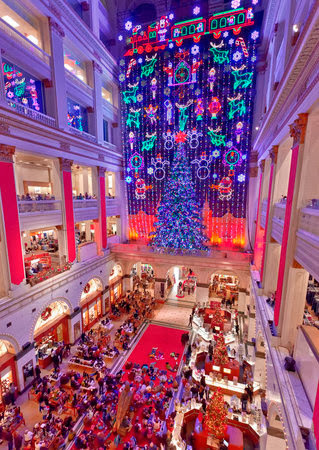 For me it was going to the department stores in Philadelphia. With department stores like Strawbridge and Clothiers these window displays were new every year. I can only image their cost. I remember these window displays like it was yesterday. Vendors would sell roasted peanuts and big fresh pretzels outside these department stores. 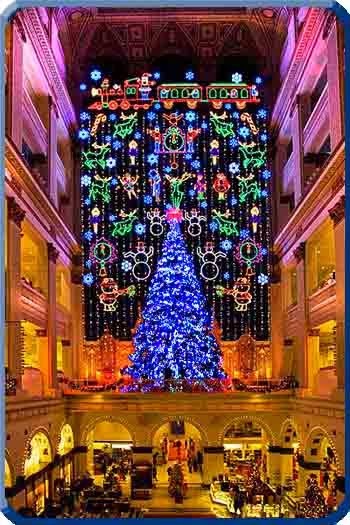 Nothing compared to the display at the Wanamaker Department Store shown above. 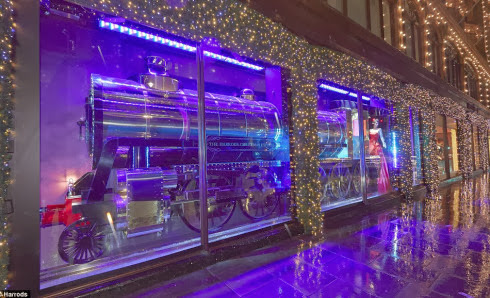 The front of the store had a huge pipe organ that played Christmas carols. Sadly just like in Baltimore these stores were purchased by other stores and many left the downtown areas for the suburban malls. This past year has found me reading a variety of books about immigrants. The question of immigration has been a highly charged issue in Congress and it is always good to remember that our ancestors were all immigrants to this Country at some time in the past. Even the American Indians came to this continent from a land bridge in the distant past. Recently I have been reading the book "The Warmth of other Suns" about the migration of the African American population from the South to many northern cities from the early 1900's to the 1970's. 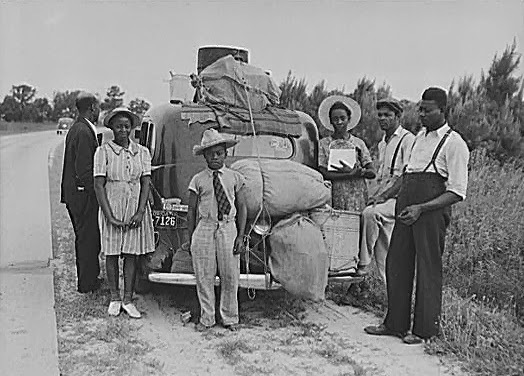 This migration was driven by the desire to have more opportunities in the North than in the South with its Jim Crow laws. While the northern states were not completely welcoming to this migrating population the opportunities to advance economically were far greater in the North. In reading about the struggles of early Pilgrim settlers to this Country it is hard not to be moved by the harsh conditions they faced. Death was a regular occurrence. Most families experienced the death of some of their children. Food sufficiency was not a given. Starvation and disease were not unknown conditions. So what motivated people to give up their families and move to a new land? The motivations were many but the common thread was the willingness to take a risk that the new land would provide new opportunities for advancement for themselves and their families. The harsh reality they faced showed just how large a gamble they were taking. Too often this gamble on advancement ended in death and not a better life. Only 53 of the original 132 Pilgrims survived the first winter. At Jamestown in the winter of 1609-1610 only 60 of the 500 settlers survived the "winter of starvation." No matter when our ancestors came to this Country and migrated to uncharted areas of our Country the risks they took to better themselves and their future generations, including all of us today, is what I am thankful for this Thanksgiving. Hopefully this also impacts our views on those still taking risks today to obtain citizenship in our Country.
" This description of the life of the Pilgrims following the landing of the Mayflower was written as a letter by pilgrim Edward Winslow soon after the landing. 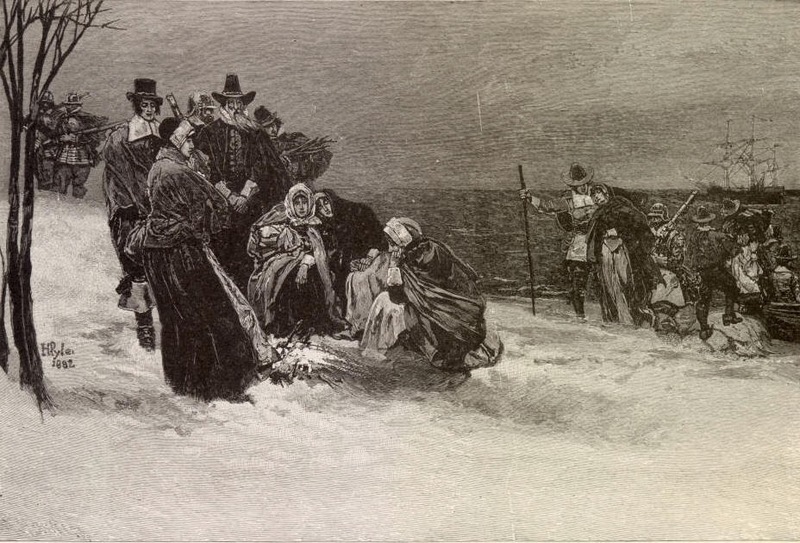 During the first winter in New England, Winslow's wife died. Two months later, he married Susannah White, who had been widowed during the same period. White was distinguished as the first white woman to give birth in New England, and Winslow and White's wedding was the first in the region. Winslow, who was elected governor of the colony several times, is best known for negotiating a treaty with the Indian Chief Massasoit." "Although I received no letter from you by this ship, yet for as much as I know you expect the performance of my promise, which was, to write unto you truly and faithfully of all things, I have therefore at this time sent unto you accordingly, referring you for further satisfaction to our more large relations. Our supply of men from you came the 9th of November, 1621, putting in at Cape Cod, some eight or ten leagues from us. The Indians that dwell thereabout were they who were owners of the corn which we found in caves, for which we have given them full content, and are in great league with them. They sent us word there was a ship near unto them, but thought it to be a Frenchman; and indeed for ourselves we expected not a friend so soon. But when we perceived that she made for our bay, the governor commanded a great piece to be shot off, to call home such as were abroad at work. Whereupon every man, yea boy, that could handle a gun, were ready, with full resolution that, if she were an enemy, we would stand in our just defense, not fearing them. But God provided better for us than we supposed. These came all in health, not any being sick by the way, otherwise than by sea-sickness, and so continue at this time, by the blessing of God. . . .
A Charlie Brown Thanksgiving anyone?